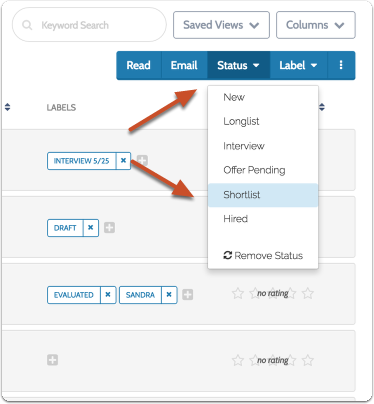 A common search strategy is to conduct a “two-stage” or multi-stage search in which the applicant field is narrowed down, and additional materials are requested from a select group of applicants. For instance, let’s say you have a search with 100 applicants. After a first review, your committee narrows the list down to just 20 applicants. From those 20 applicants, the committee needs to request three additional confidential letters of recommendation. This means you will need to update the document requirements for the position; however, you don’t want to notify your rejected applicants of any changes in the position (such as updated requirements) until after a hire has been made. 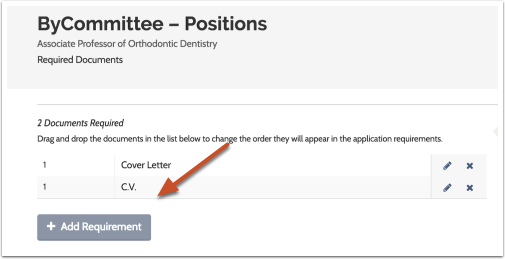 So, how do you add additional requirements to a position that will only notify your shortlist of applicants? Simple: you implement a two-stage search by following the steps below. 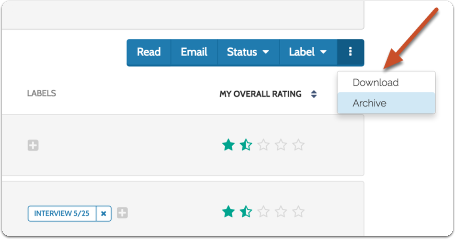 You can customize your workflow to be more than two stages with additional statuses and tags. 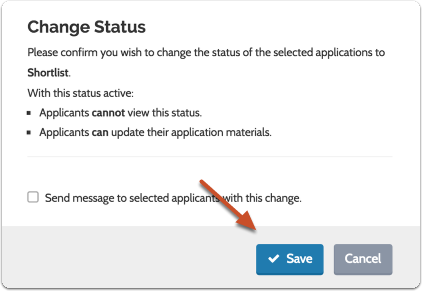 These instructions will only apply if permissions allow you to create application statuses, or if an Administrator has created the necessary "Shortlist" application statuses described below. If permissions allow, application statuses are created from the Adminstration page as shown below. 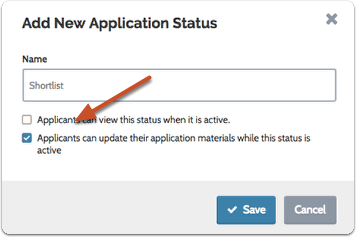 See here for more information on creating an application status. 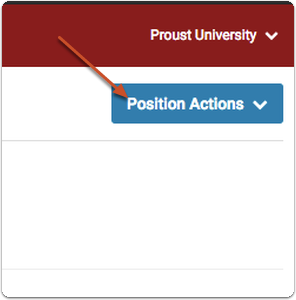 Check the box to allow applicants to update their applications when they are assigned this status. 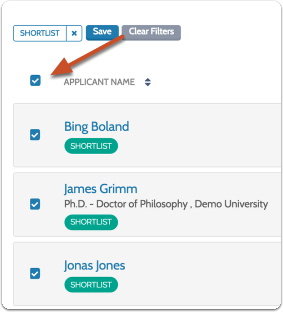 Select the shortlisted applicants from the list on the Applicant List of the position. 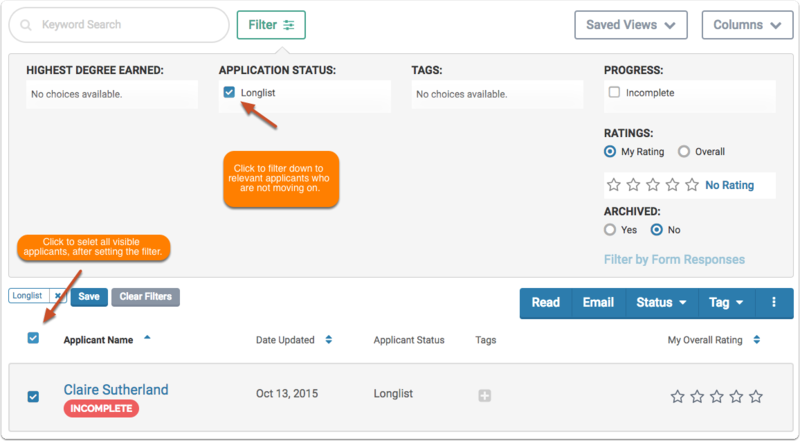 Look for the "Status" button to the right of the page and apply the new status to selected applicants. Confirm the new status and the implications. Then click to save. 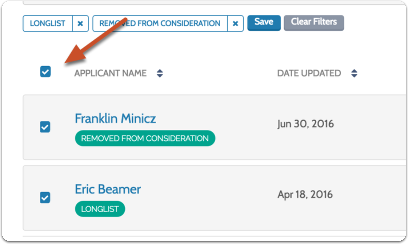 Filter the list to display applicants with an application status indicating they have not been selected to move to the second stage of the search. Select all applicants in the filtered list. Click the "More Options" icon to the top right of the list, and select "Archive" from the dropdown menu. Note: Archiving an applicant does not delete their application. This will simply move them to another folder and “freeze” the applicant’s view and what s/he is permitted to do within the system. Archived applicants will not be notified of any updates to the position's document requirements. Although if the applicant opens the application they will be able to see newly added requirements. 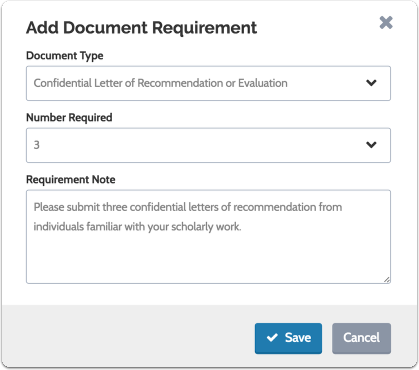 When shortlisted applicants sign into their account, they will see additional requirements for the position and be able to add additional materials or request additional letters of recommendation for this search. When archived applicants sign into their account, they will not be able to update their application unless the specifically open and enter their submitted application. Follow the instructions below, and see here for more information on adding and editing the document requirements for a position. You will need to notify your shortlisted applicants that they must add additional documents to their application. 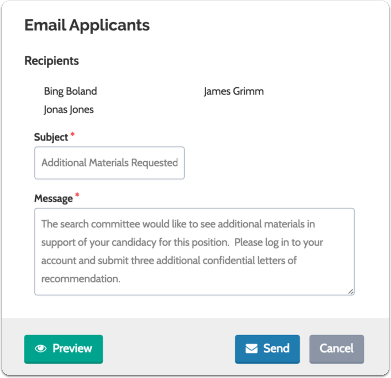 You can add and remove committee members at any time during your search. So it’s possible for you to add committee members for either the first or second stage of the search. 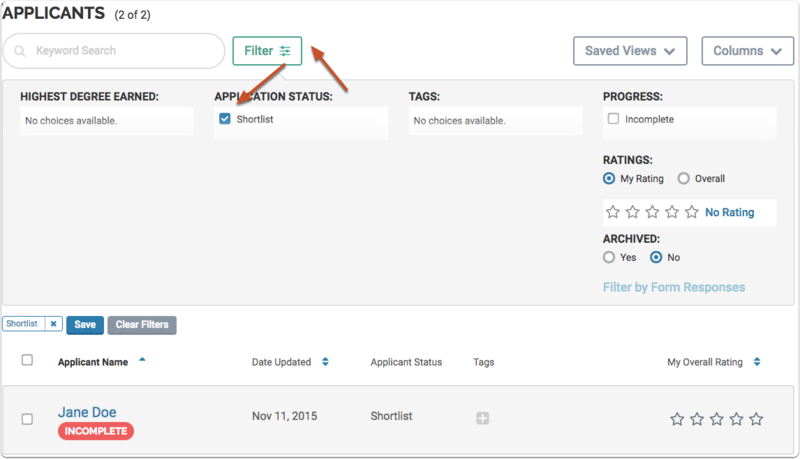 With application statuses, you can determine whether or not applicants can see their application status. For best results, be consistent and conscientious about allowing different categories of students access to view application statuses. 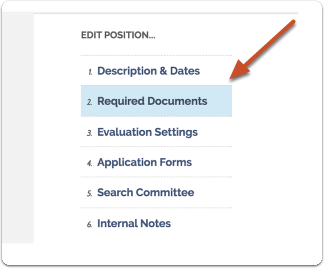 When editing the position, you can add or upload notes to be read internally by committee members on hiring best practices.